I am familiar with foreign cultures through my own homestay experiences and had such a wonderful time meeting new people in different parts of the world. I do believe learning other culture is very significant in our lives and for the world peace . So I am hoping I can help other people who are interested in Japan to have that kind of experience here. We enjoy sharing our daily life with guests. I can introduce traditional Japanese food to modern Japanese home cuisine to you since cooking is one of my specialties. We have built our house in 2007, it has backyard with a deck. It is more like an American house than an old Japanese style house but we can certainly give you a chance to visit and see traditional houses during your stay if you like. 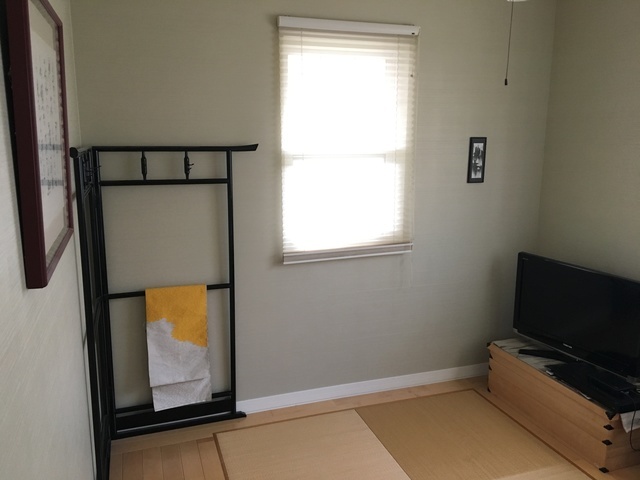 We have a guest room that has tatami(straw mat) floor where you sleep with futon. We are open for visitors all year around. We welcome short term visitors(from a few days to a week). We can give you rides or personal tours in Aichi, Kyoto, Gifu, Shizuoka or any other places in the area if we can work around the costs and schedule. I own some kimonos and know how to put them on, so you are welcome to try that at our house. If you are interested in Kendo(Japanese martial art), we can take you to our our local dojo's lesson to watch or to join the practice. For guests who are here to learn Japanese, I will not speak English unless I was asked to so you can improve Japanese more. Homestay fee includes home meals but excludes away-from-home meals. Other than that you will be treated as a member of our family while you stay with us. We like to spend as much time as possible with you while you are here, will try to give you the experiences you can only experience at our house! Please feel free to contact me even if you may not stay at our place, and ask me about our area. I will be glad to help you, give you information about traveling in Japan in general. Please send us a photo of yourself when you contact us, because we would like to know the face of the person we talk to. That is why we have our family photo on this profile. Sociable, fun, polite, responsible, and neat Female, Couples, Families are welcomed. No smoking in the house, but you may smoke on our deck outside. We welcome people who are willing to try new things and to understand different manners and customs. HUSBAND (born in 1971): a service engineer for a computer software company, loves to watch baseball, practices Kendo (Japanese sword art). SON (born in 2003): friendly, great with new people. Loves rock music, belongs to the school band. Practicess Kendo. DAUGTHER (born in 2006): a bit shy at first but soon becomes friendly. Enjoy drawing, reading, playing basketball. Practices Kendo. We like to spend weekends with friends having BBQ. We also like to visit historical places like Kyoto, or go for a drive to the country side in Gifu. Discovering places with delicious local foods is one of favorite things to do too. 3min walk to the nearest bus stop and it takes 20min to get to the train station Owari-Ichinomiya by bus. We will give you a ride to get around as much as we can. You can also use our bike if you like. Ichinomiya is located north of Nagoya. Population of Ichinomiya is 370,000, it has one of the oldest shrine in the region "Masumida Shrine". Class A river "Kiso River" that runs along the city endows the neighborhood with rich nature and beautiful national parks. This OWARI region is deeply involved with the famous Shoguns of the past (Toyotomi,Tokugawa,Oda), so historians would enjoy this part of Japan. If you are a shopper looking for latest fashon and trends, I will take you to Nagoya where there is a big shopping area with department stores and trendy little shops. We live very close to Gifu prefecture where there is beautiful nature sill remains, not to mention many ski resorts and hot springs. Pacific Ocean, mountains, rivers, big cities and many more attractions all in a-day-trip distance. My wife and I stayed with Sayaka and her family for four nights, whilst traveling round Japan and S.E.Asia, because we enjoy meeting people, and wanted a more personal experience than you get in a hotel. This was our first homestay, and it was so good that we were encouraged to seek out similar accommodation during the rest of our travels. Despite inquiring about a possible stay only a couple of days before, Sayaka was happy to accommodate us, even though her mother was visiting that week. 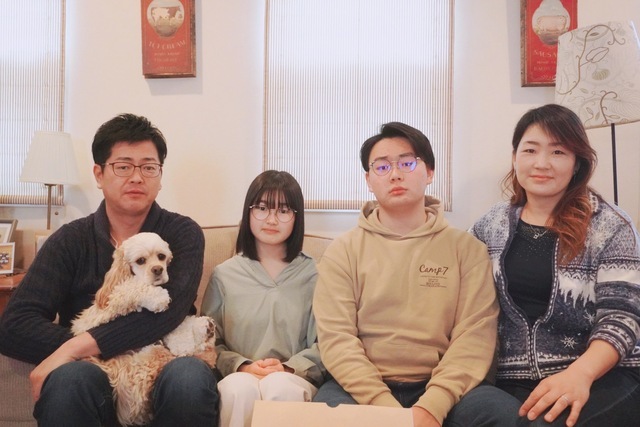 The Nakano family is a wonderful, happy family, and they went out of their way to make our visit memorable, taking us out to see exhibitions and local restaurants, as well as the kendo class Dai, Haru and Mika attend during the week. To top it off, Sayaka is an excellent cook, so we ate delicious Japanese food every day. Sayaka's English is brilliant, which made it easy to ask questions, exchange stories, and discover our cultural differences! This homestay was easily the highlight of our two and half weeks in Japan, and we were sad to say goodbye, although happy to have met such a warm and welcoming family, who we now think of as friends. Thankyou, Sayaka and Dai, for being such great hosts - we look forward to returning the favour when you come visit us in Scotland!